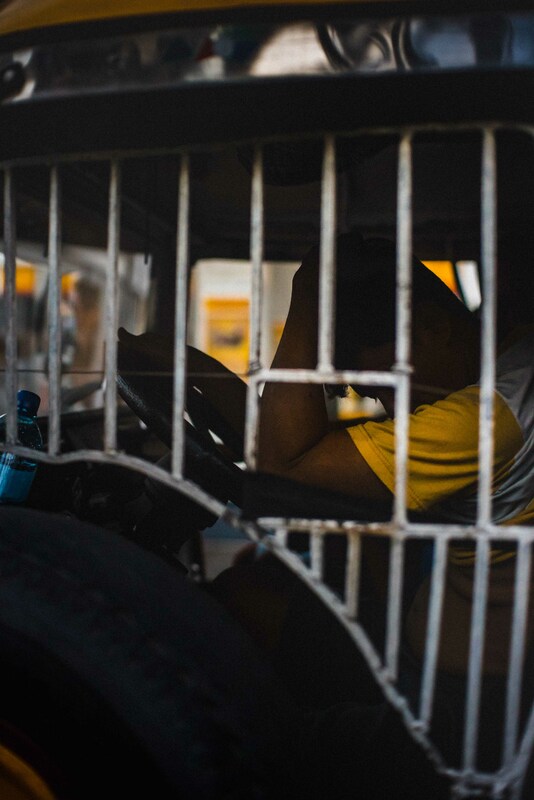 A jeepney driver resting his head amidst heavy traffic along Pedro Gil St. in Sta. Ana, Manila. Photo taken last year, October 27, 2016. To say that traffic in Metro Manila is beyond redemption is an understatement. Traffic here is so bad, it let’s you cycle through all the five stages of grief, after which you still end up stuck at the same gridlocked junction as before. The cycle repeats itself at almost every bottleneck, and so at the end of your commute, you just want to lie down and sleep it off. But it’s only 9:00am and you still have a full work day to begin and another commute for when you head home. For a lot of drivers here in Manila, including, my friends and the Uber drivers I encounter, jeepneys are the bane of one’s commuting life. They all see jeepneys as an eyesore, an obstruction, a relic of our not-so-distant past. Jeepneys would stop at every corner, pick up or drop off passengers and would wait without regard for the smooth flow of traffic. They are reckless and a lot of times impervious to other drivers. ‘Sino-solo nila yung daan, puñetang mga dyip yan’ one friend quips as I take a sip from a mug of locally brewed stout at this awesome beer place in Ermita. But these jeepneys have been the public’s main mode of transportation since after World War II. Millions rely on it to get around the city, and there is practically no alternative for the masses who need to get somewhere. Some Jeepney drivers, in turn, have been able put their children through college with the income earned from driving. Some even managed to get their kids through medical or law school, and for hundreds of thousands of families, driving a jeep is their only means of livelihood. The Land Transportation Franchising and Regulatory Board (LTFRB), a few months ago, proposed a shift in policy that would have meant the end of the jeepney. The proposal aims to phase-out jeepneys older than 15 years from plying the streets of Manila. Unless this policy shift pushes through though, the lowly, king of the road is here to stay. This March, largely in part to public outcry, the regulatory body has retracted their statement made last December 2016 to ‘phase out’ the jeep, and clarified instead that the agency seeks to ‘modernize’ the country’s aging fleet of diesel-chugging, black carbon-producing steel contraptions of death. The jeepney gets to live another day. Check out my other posts on the Buhay Jeepney project. Filed under Street Photography. Tagged as 35mm, Buhay Jeepney, Leica, Manila, Sony, Sony A7SII, Street Photography, Streets of Manila.